So what makes a Press Photographer? Infrared – A different way of seeing. Onward to the next adventure! Unless otherwise stated, all images and text on this website are ©copyright Paul Stewart and Paul Stewart hereby asserts his moral rights in regard to the Copyright Designs and Patents act of 1988 and any further relevant legislation or amendments. No images, text or portions of these may be copied, modified or used in any other way without specific permission, in writing being given. None of the content of this site may be used without the agreement of a fee in advance of that use. Roger Lynch CEO of Homechoice TV one of the UK’s first on demand streaming services. Good portraiture requires more than just good photography. Technical expertise is a pre-requisite for a press Portraits can be editorial or commercial in nature and they can be just a classic “headshot” or they can include the environment of the sitter. his can be useful if the image is for corporate purposes as it can then show the client’s products as well as the subject. environmental portraits can be useful for images of people who work in a particular field as they can be used as a way to set the scene too. 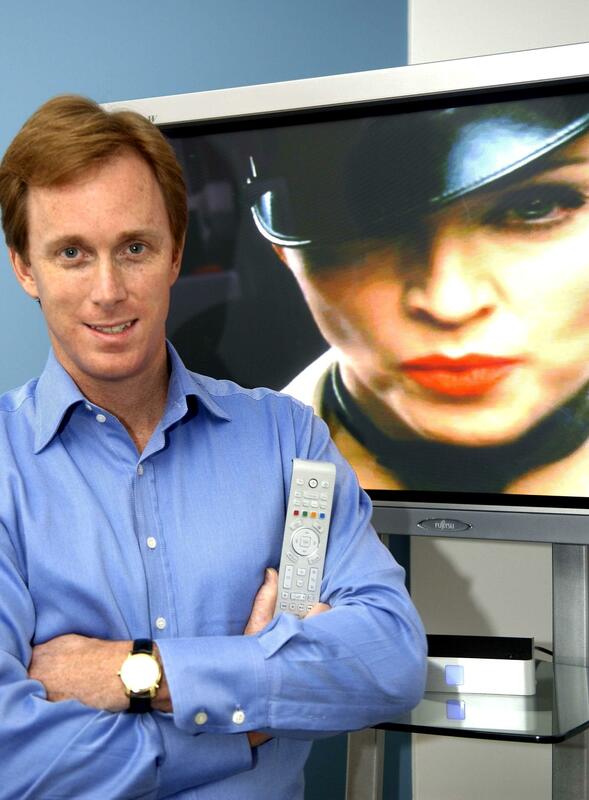 The image of Roger Lynch of Homechoice TV, started life as a “City Page” assignment for the Sunday Express, but the company liked it so much, they licence it for corporate use. This type of job is almost always interesting, the image of John Lydon AKA Johnny Rotten, was shot for the Daily star Sunday originally. It was taken in the Monet Suite of the Savoy hotel  and some of the others in the series featured him against the views the artist painted. In the end the picture editor and I agreed that the “In you face” images had the impact we wanted and that’s what was used in the paper. 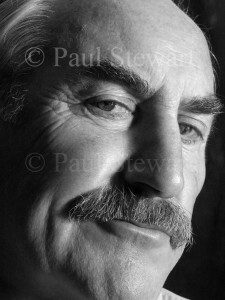 To see this image and the one of the environmental ones, check out my book, It’s Amazing who you meet. 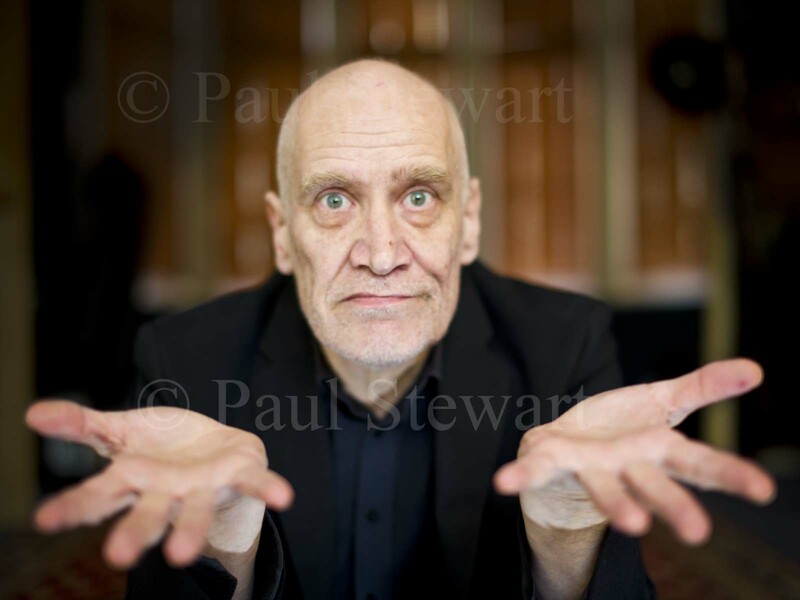 When I was asked to photograph and interview Wilko Johnson for The Sunday Express and Musicosis, I will admit a certain amount of trepidation. Having been a genuine fan of the man’s work for most of my life, and with his announcement that he was dying. The interview was quite amazing, as was the photo-shoot. 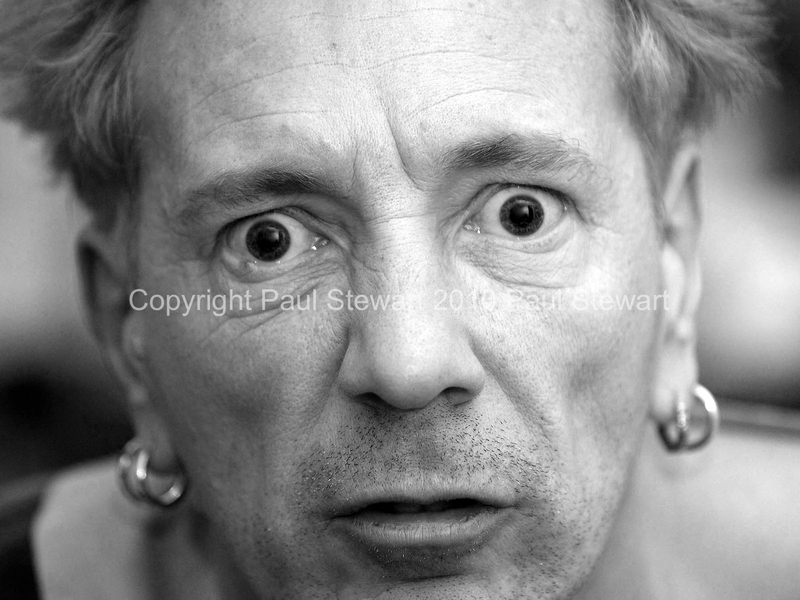 Happily due to the intervention of amateur rock photographer and professional top cancer specialist Charlie Chan who realised Wilko’s condition was not behaving as it should, his life was saved and he is still making great music. Edmund de Rothschild was an amazing man to meet and photograph, which I did many times over a number of years. 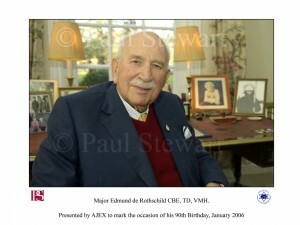 The portrait below was commissioned by AJEX, the Association of Jewish Ex-Servicemen and Women, to mark “Mr Eddy’s” 90th birthday. A man of so many facets, (war hero, international financier, tireless charity worker and award winning horticulturalist), I took the chance when I was asked to travel down to Exbury House, the family seat, to chat with hime and try and bring out the essence of the man in the picture. The image was then presented to him for his birthday at a special reception given in the Speaker’s House in the Palace of Westminster. 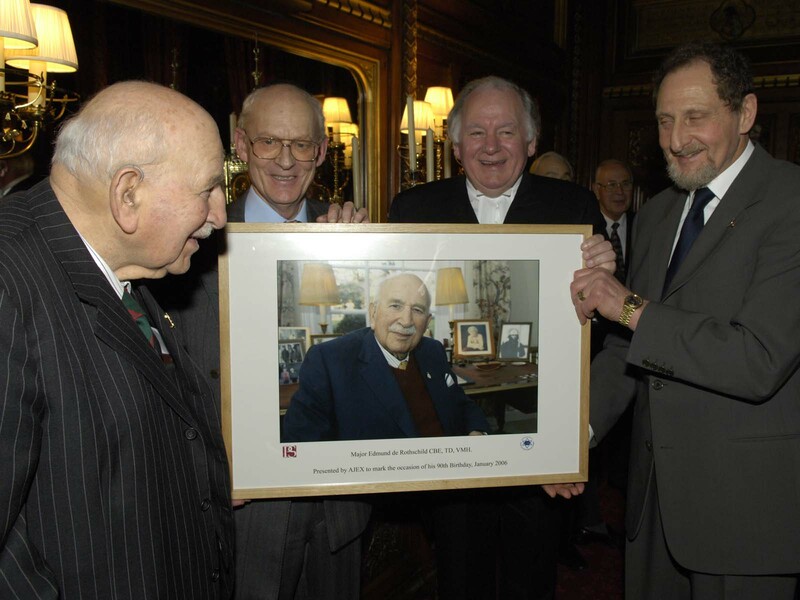 The Speaker of the House of Commons at that time, was Michael Martin, MP and I have included a picture of him making the presentation.